May 30th: Ag Training in Hollister! May 17th Land Match Mixer & Community Forum at Corralitos Brewing Co. Looking for land? Have land you’d like to see farmed? Want to support your regional food system? Join California FarmLink, ALBA, and UC Berkeley for a casual mixer at our local watering hole, Corralitos Brewing Co. Connect with farmers who are looking for land to start or expand their business; learn about the different challenges farmers face-- as well as the creative solutions and resources available to overcome some of these hurdles. There will also be a "web tools" station to guide those interested through Farmland Monitoring Project's FarmView application, as well as an area to register with FarmLink and learn about our upcoming website update and services it will provide. The most successful farmland matches are built on relationships between land seekers and farmers or landowners who are well prepared, informed, and supported. 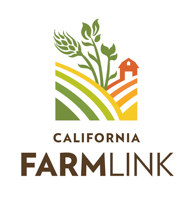 California FarmLink, ALBA, and the Farmland Monitoring Project are just a few of the resources available and eager to help. RSVP using the included link (http://landmatchmixer.eventbrite.com) and your first beer is on us! See you at the brewery! 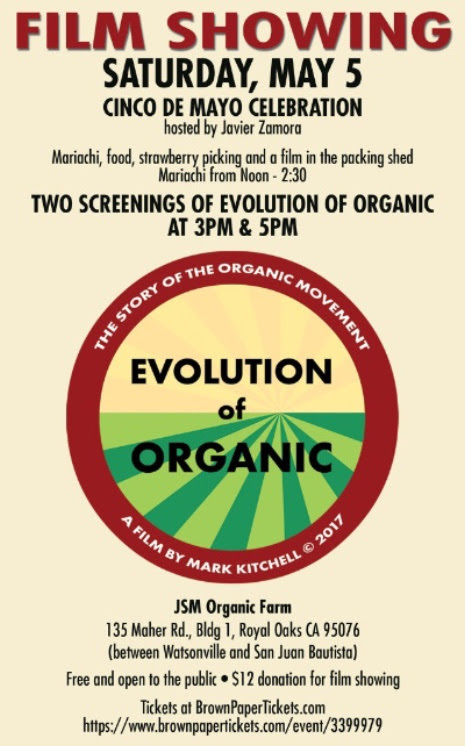 Javier Zamora, our wonderful farmer friend and advocate, is throwing a Cinco de Mayo celebration this Saturday May 5th at JSM Organics farm in Royal Oaks between Watsonville and San Juan Bautista. This should be a lot of fun. Hope to see you there! GRANT PURPOSE: The CCOF Foundation and the California Foundation for Agriculture in the Classroom administer the Look at Agriculture…Organically! grant program for K-8 teachers who teach their students about organic in the classroom. ELIGIBILITY: Applicants must be certified K-8 teachers in the United States. Applicants must submit a project proposal with an itemized budget for a project to be completed in the 2018-19 school year. A significant percentage of grant funds will be awarded to teachers in school districts with 50% or more of its students enrolled in the free/reduced lunch program. CCOF can help you pay for your studies in organic agriculture. GRANT PURPOSE: The CCOF Foundation offers grants to higher education and vocational students pursuing organic agriculture programs to help with tuition and educational expenses. ELIGIBILITY: Applicants must be enrolled in educational programs in the United States that will benefit their careers in organic agriculture, including vocational training/certificate programs, junior college/two-year degree programs, and bachelor’s/four-year undergraduate degrees. Graduate studies are not eligible for grant funding. Applicants’ financial need is considered as part of the grant decision process. If you're interested in either funding opportunity, click here to learn more! Certificate of completion of this 2 hr. workshop will be emailed at the end of class. This course satisfies the annual basic training for food safety and audit requirements. The Loma Prieta and San Benito Resource Conservation Districts (RCDs) are offering $175,000 in grants to local livestock owners in southern Santa Clara and San Benito Counties located within the Pajaro River Watershed. Funds from the Livestock and Land Program can help pay for improvements to livestock and horse properties for managing drainage, erosion, storm water runoff and manure. More information here or contact Dina Iden at 408-847-4171. 8:30 (in English); 10:00 (in Spanish); 744 La Guardia St. Bldg A. The Resource Conservation District of Monterey County is holding a workshop for farmers and ranchers in Monterey, San Benito and Santa Clara counties to assist in submitting grant applications to CDFA’s Healthy Soils Program (HSP). Incentives grants up to $50,000 are available to producers to apply management practices such as compost, cover crops, hedgerows, transitioning to organic, etc. The deadline to apply is April 13th, so interested producers are encouraged to attend this workshop or contact laura.murphy@rcdmonterey.org / 831-975-7749 for more information. New Round of Healthy Soils Funding Now Available! The California Department of Food and Agriculture (CDFA) just announced its second call for grant applications for the Healthy Soils Program. Applications are due by 5pm on April 13. Both direct farmer incentive grants (up to $50,000 per grant) and demonstration project grants (up to $100,000 per grant) are available for practices such as cover crops, compost, hedgerows, reduced tillage and more. The total funding available is $1.6 million (the amount not distributed during its first grant round in Dec. 2017). Grants will be awarded on a first-come, first-serve basis. Farmers can apply for any one of the 15 eligible practices, unlike the last round’s requirement that applicants adopt one of five “soil management” practices in order to be eligible to apply for the other 10 eligible practices. Applications are now available as a fillable Microsoft Word document instead of online through the state’s FAAST system which should make it considerably easier for farmers to apply. Check out the CDFA call for applications here. We created this blog to provide Central Coast farmers, ranchers, landowners, and farm service professionals with information about resources, opportunities, events, and news in California's Central Coast. Sign up below to receive an email whenever we post new information (usually about once a week), spread the word about our work, and don't forget to visit our website to access our land listings database and resource library! Do you have a request or resource to share for the farmer community? Contact us today and we'll help you get the word out!